Army use of 67 acres of land just south of the Oahu Railroad & Land Company (OR&L) railway in Mokuleia began in 1922 with the establishment of Camp Kawaihapai as a communications station. In the 1920s and 1930s, the site was also used as a deployment site for mobile coast artillery which was transported by railroad. By December 7, 1941, a fighter airstrip had been established on additional leased land and Mokuleia Airstrip had been established. P-40 aircraft were deployed at North Shore airstrips at Kahuku, Haleiwa and Mokuleia when the Pearl Harbor attack took place. U.S. Army Air Corps aircraft taking off from Haleiwa destroyed several attacking aircraft. 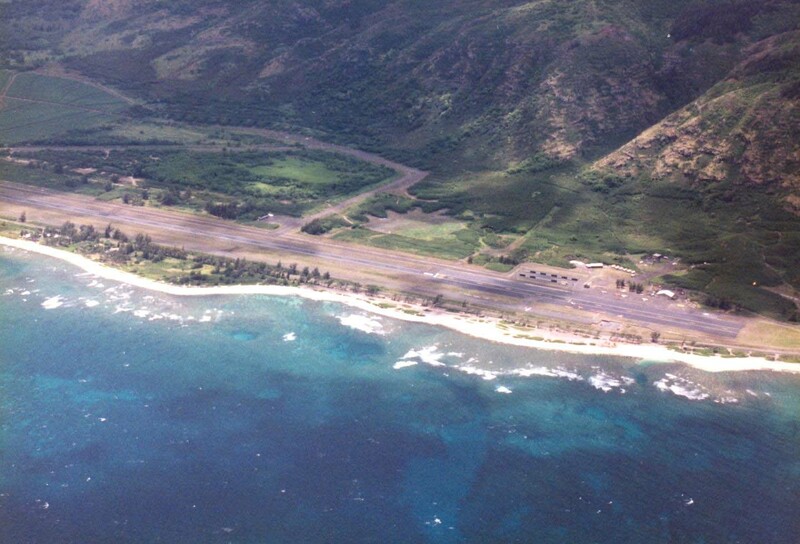 Mokuleia Airfield was improved to a 9,000-foot by 75-foot paved runway, a crosswind runway and many aircraft revetments from 1942-1945. 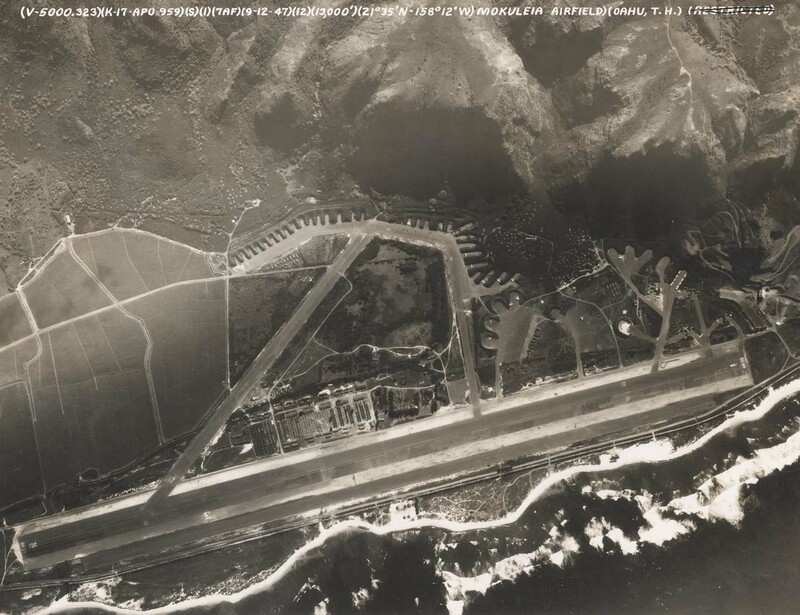 By the end of World War II, Mokuleia Airfield could handle B-29 bombers. In 1946, the U.S. Army acquired the additional 583 acres of leased land by condemnation with compensation. In late 1946, the U.S. Army Air Force became the U.S. Air Force by order of President Truman so Mokuleia Airfield became an Air Force installation. In 1948, the airfield was inactivated and renamed Dillingham Air Force Base in memory of Captain Henry Gaylord Dillingham, a B-29 pilot who was killed in action over Kawasaki, Japan on July 25, 1945. Captain Dillingham was the son of Walter H. Dillingham who was a noted pilot on Oahu in the 1930s. Henry was also the grandson of Benjamin F. Dillingham who founded the OR&L which evolved into Hawaiian Dredging Company and the Dillingham Corporation. 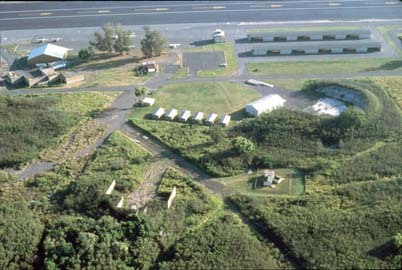 In the 1950s, a Nike Air Defense site was added near Mokuleia Beach Park but was obsolete by 1970. The state leased Dillingham from the Air Force in 1962 for general aviation use on a short-term basis. In about 1974, the Air Force transferred the base to the Army. The state acquired a longer term lease from the Army in 1974 and in 1983 signed a 25-year lease. Hangars for fixed wing aircraft and gliders, bathrooms and a Unicom Tower/fire station were added in 1985-1986. Master plans for Dillingham were accomplished in 1980 and 1993 along with an environmental assessment in 2000. The Defense Authorization Act of 1990 provided that the 67 acres of ceded land of old Camp Kawaihapai be transferred to the state after an agreement on future joint-use of the airfield was reached. An environmental assessment was completed in 2000. 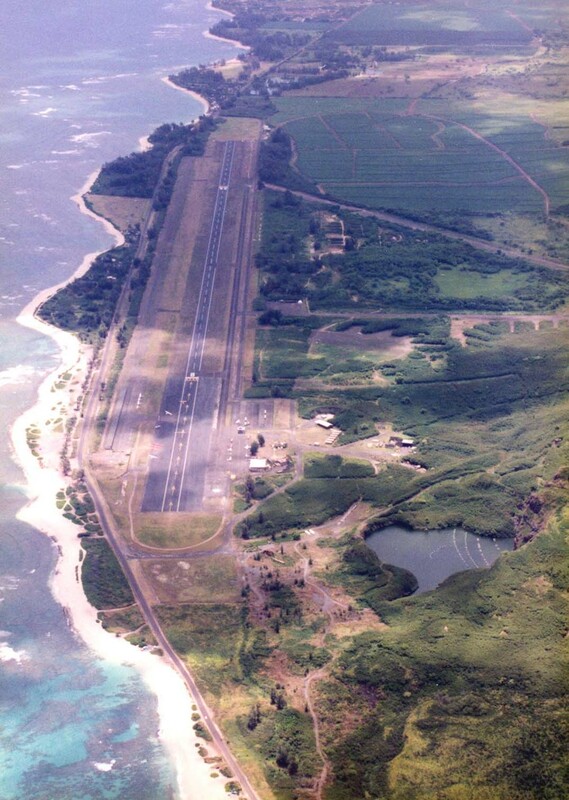 The 2001 Legislature passed Act 276 that changed the official name of the airfield located at Kawaihapai, formerly known as Dillingham airfield, to Kawaihapai airfield. The Act will take effect upon the completion of the transfer of the airfield back to the State by the U.S. Army. In 2004, there were 68,503 air operations at HDH and the airfield was not available for general aviation use for only four hours because of priority military need. 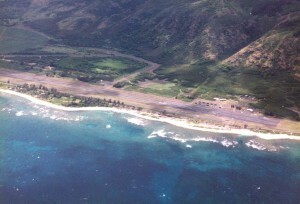 In 2008, Dillingham Airfield was a general aviation airport operated by the Hawaii Department of Transportation under a 25-year lease from the U.S. Army. The state leased 272 acres of the 650 acre Dillingham Military Reservation and operated the single 5,000-foot runway primarily for commercial glider and sky diving operations. Known as HDH, the field ia a joint-use airfield with the Army having first priority for air-land operations and helicopter night-vision training. The airfield is not lighted for night operations by general aviation. The state Department of Transportation operates and maintains the airfield and utilities systems. The State entered into a new 25-year lease with the Army in 2009 and has a Joint-Use Agreement (MOA) with the Army for the field. Future improvements and initiatives include a taxiway extension, water system upgrade and additional hangars for gliders and powered aircraft. Sites for private hangar construction is available. The state expects that HDH will serve general aviation for decades into the future. The gliderport and hangar areas will be named Kawaihapai, which means lifted water because of a past artesian spring. Kawaihapai was the original Hawaiian name of the immediate vicinity. The Kawaihapai Gliderport and skydiving facilities at HDH are part of the Hawaii tourism industry. Dillingham Field Air Traffic Statistics Dillingham Field is used by general aviation, glider and parasail companies and the military.